What is the meaning of Silent Installation? Silent installation means the process of an installation that does not need user installation, it means that the installation will be processed automatically with only one click to process the installation. Before we make Silent Installation Software, we should first understand what is software silent install. For those who already know, it can be easy to make, but for those who do not know anything yet, it can be tricky for them. Silent install software allows us to install software in silent mode which means when the software is executed (click 2X) it or opened. For Silent Install, it will be installed automatically without having to click next, next, next, install, finish and so on. 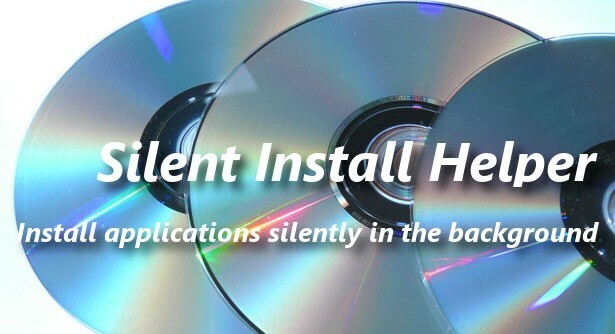 With this silent software install we can save more time and energy, especially for computer technicians. We can use any ways to Create Silent Install Software, but some ways are filled with lines of code / script that for the newbie is not easy to understand. In Tutor Create Silent Install Software that you read now will discuss about how to Create Silent Install Software with SFX Maker which we will discuss further in the next post. This way I think is easier to do though by us newbie. Until this article is created, the software that I managed to make silent installer is software that is compiled with the compiler in the Bold on the list above. Even so, not solely all compilers in bold above can be made silent installer for example Adobe Reader X in the compiler using Microsoft Visual C + + can not be made silent install while Picasa v3.9 which is also in the compiler using Microsoft Visual C + + can we create silent installer. Likewise for other compilers. So, whether or not it is a rear business. The important thing is we will try to make silent software installer on KoodiPC post next about Making Silent Install Software with SFX Maker.